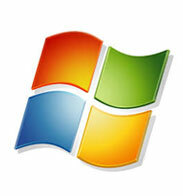 Pixel Edges offers Windows VPS to host web sites using Microsoft technologies such as .NET and MSSQL. Our VPS Hosting using the distinctive feature of Hyper-V virtualization technology. Using 64-bit Micro-kernelized hypervisor architecture allows Hyper-V to offer device support methods and improve performance and security. It provides support to all operating systems ( 32bit or 64 bit ). Hyper-V supports upto 4 Multi-processors in a virtual environment, which offers an advantage of multi-threaded applications in your virtual machine. Hyper-V also includes virtual switch capabilities, which can easily be configured with Windows Network Load Balancing within virtual machines on different servers. You can build custom tools, utilities and enhance virtualized platforms. The 64-bit Micro-kernelized hypervisor architecture allows Hyper-V to offer device support methods and improve performance and security. It provides support to all operating systems ( 32bit or 64 bit ). Hyper-V supports upto 4 Multi-processors in a virtual environment, which offers an advantage of multi-threaded applications in your virtual machine. Hyper-V also includes virtual switch capabilities, which can easily be configured with Windows Network Load Balancing within virtual machines on different servers. If you’re outgrowing your web hosting or simply want more control, a Windows VPS is the next logical choice for your hosting needs. It gives you more freedom with root access; plus you can install an SSL certificate, as well as any type of software. With a VPS, it's very easy to upgrade or downgrade your account. This gives you an extremely scalable solution based on your needs. You can create unlimited email accounts and can control the email space of each individual account. Also, you can have enough control to manage email spamming through an anti-spam software in your server. If your requirements more than shared hosting please choose our advance hosting.